TOFU MOM . . . and gravy! 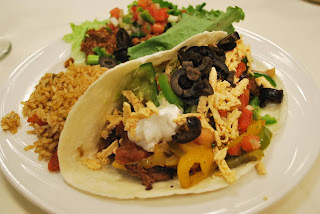 : VIDA VEGAN CON; DAY 2, 3, etc. VIDA VEGAN CON; DAY 2, 3, etc. OK, so I'm a miserable Blogger. And should have my computer revoked. 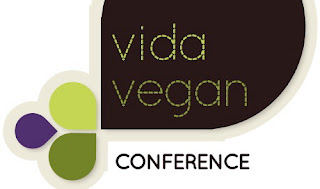 See, as one of several very lucky scholarship winners to the fabulously spectacular Vida Vegan Con writers/bloggers conference in Portland, I promised the wonderful Con organizers that I would blog regularly and faithfully about the event. I promised I would post about everything! I promised my firstborn child..... (OK, not that). 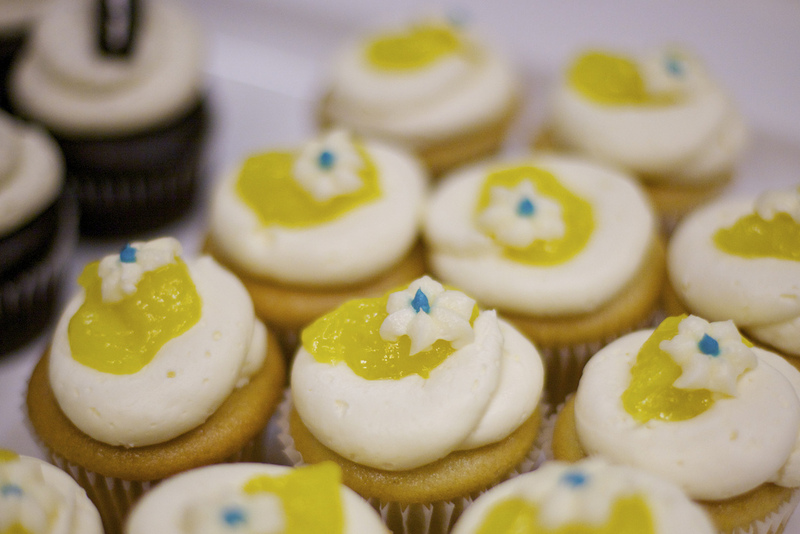 But, ....I did eat vegan cupcakes!! Oh yes. The big, beautiful bunch of you intimidated the HECK outta me! 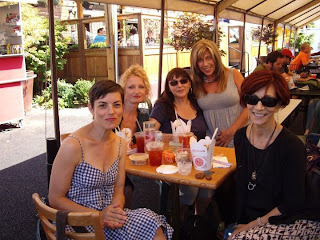 I met so many of my vegan author/writer/blogger idols, I was in awe. (Just to shamelessly name drop), one of the first people I ran into was the AWESOME Gail Davis. She gave me "So Delicious" tee shirts for my kids. 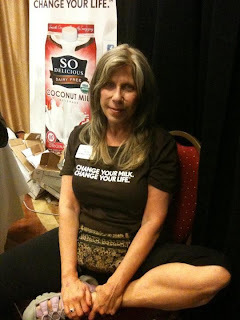 And then my Vegan-Chocolate-And-Dessert mentor, Fran Costigan! OMG!! I love her too! Then; (it gets better), I had breakfast with the thoroughally fascinating Grant Butler (who's writing I've followed in The Oregonian for ages!). I got to meet the really fun, and genuine, people behind some of my favorite vegan brands: Upton's Naturals and So Delicious most specifically. Oh!! And the staff of VegNews. Did I say that? And yes, I forgot to take ANY pictures. Yes, me, the photo-freak, I FORGOT!! (Photos you see here are kindly borrowed - with permission from other, more organised bloggers than I). One day I actually ate lunch with Bryanna Clark Grogan AND Julie Hasson AND Dynice Balcavage . My ABSOLUTE favorite vegan cookbook authors EVER-EVER-EVER. THEY came and sat with ME! At the same table - with me!!! I mean, I would have asked for autographs if I'd thought about it. Anyway - I DID discover they're really cool, every-day, down-to-earth people who make a mess with their veggie tacos the same as I do. 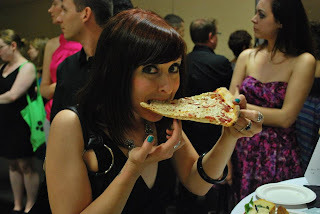 I attended an all-vegan Saturday Night Gala full of vegan pizza, more awesomeness and vegan bling. I shared the dance floor with vegan body builder Robert Cheeke (to be clear, he didn't dance with me... probably didn't even know I was there, unless I stumbled into him during a less than graceful dance move, which I may or may NOT have done on accident, just sayin'...). 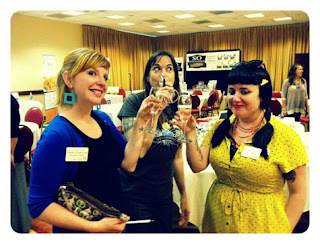 And while I'm not part of the PPK in-crowd, I was still duly impressed to rub elbows with cookbook divas Isa and Terry. (Literally. I was in the buffet line behind them and we clunked elbows and I almost spilled their food. I hope they didn't mind...). Oh!! 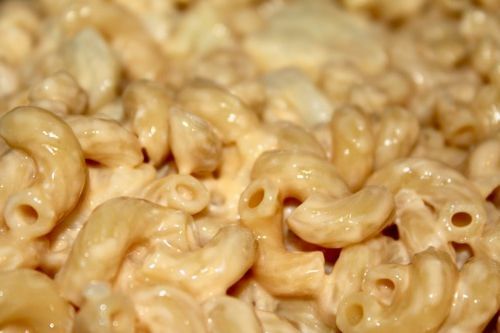 We had lunch, somewhere in there, at Homegrown Smoker, and I've determined they make vegan Mac-n-Cheese that's actually as good (maybe better! Gasp!) as mine. ...SO MANY people I'm forgetting. Apologies in advance!! I attended workshops and and panels and forums and discussions and I did not take notes. No, I forgot to do that too. But I did remember a lot, and mostly, found out all the things I'm doing wrong. (Like too many exclamation points!!! Yes!!). started blogging about it, and suddenly there were 500 posts SO MUCH BETTER (and less wordy, heh!) than anything I could conjure up. What's a pathetic blogger to do? One VERY cool moment (there were many) was when my friend Shaun and I FINALLY got a much-coveted reservation for Portland's gourmet vegan Portebello Restaurant. We walked in, and the hostess literally RAN across the restaurant to us and gushed "Oh my gosh, you're TOFU MOM! I LOVE your blog!!". Awesomeness. Not the greatest wrap up. Doesn't do the conference the justice it deserves. My suggestion, should you want to know more, is to Google "Vida Vegan Con" and you'll immediately have hundreds of beautiful, well-written, nicely photographed write-ups to peruse. Too many for me to list or link to, but SERIOUSLY, check them ALL out. They're all lovely! If this is your "failure" at blogging, I'd love to see it when you really kill it!